Daun Kaduk aka piper sarmentosum scientifically, is usually used in local cuisine to make ulam (traditional Malay salad) and otak-otak (fish cake). 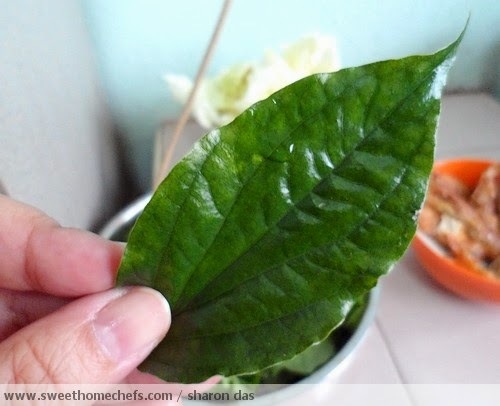 It looks like a betel leaf, but is smaller in size and has a peppery taste. 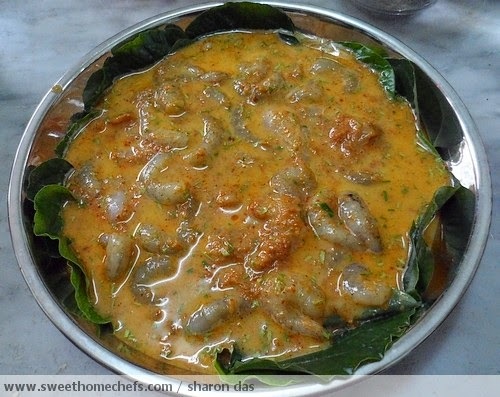 It can be eaten raw or cooked - steamed, fried, souped, what-have-you. I have seen it used as a vegetable wrap on several occasions. It doesn't keep long. Best to buy it closest to the day you intend to use it. Earlier in the year, my sister-in-law asked me to help her out with an otak-otak dish. That's when I first noticed this leaf. I've probably eaten it before but only made a mental note of it now that I've taken an interest in cooking. You should have seen how engrossed I was with the leaf, scrutinising it as though it were a science project!